Just witnessed a terrible accident this afternoon on a busy intersection. The accident looked really bad. 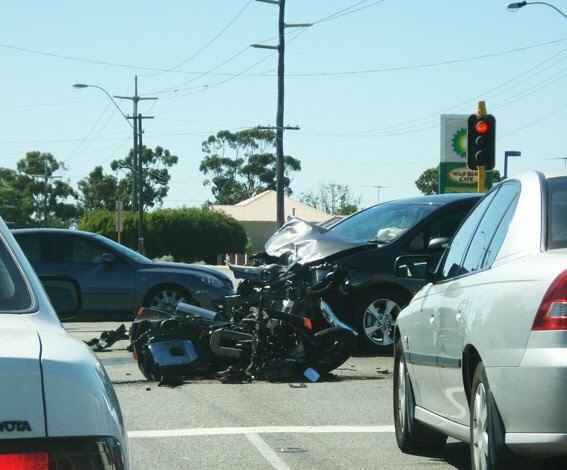 Motorcycle smashed into pieces and car didn't looked too good too. Saw a crying girl and the other one was on the ground while people trying to save him. Hopefully that person is okay. Felt terrible seeing situation like this. The whole world turned gloomy suddenly on a hot sunny day. Please drive safe everybody. Don't speed and concentrate on driving. You don't want to see this happen to anyone, even yourself. Be safe.